This baby is going to fly off the lot at this price. The Ford Focus is a small car that offers a number of features otherwise seen in larger or more luxurious cars.. Don't sacrifice on quality. Drive away in this vehicle today. Soft and luxurious leather seating. A perfect cold weather Focus featuring heated seats. 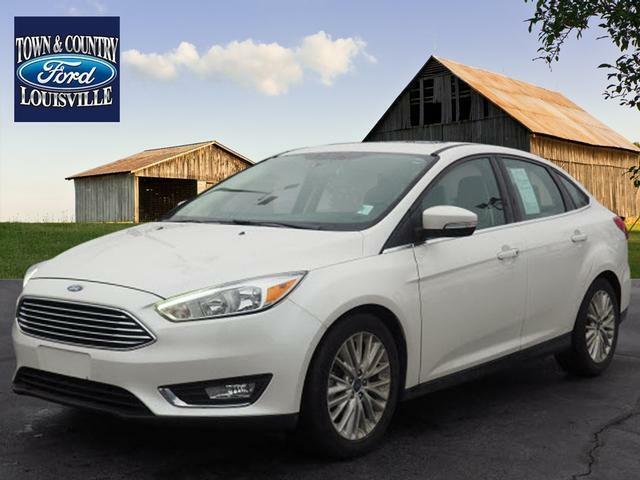 Go green with this fuel efficient sedan sporting an EPA estimated 28 MPG combined fuel rating. Features include: backup camera, power mirrors, convenient keyless entry, premium sound system and satellite radio ready. Visit Hays Automotive Discount Center online at www.haysdiscountcenter.com to see more pictures of this vehicle or call us at 502-961-8421 today to schedule your test drive. Message: Thought you might be interested in this 2018 Ford Focus.